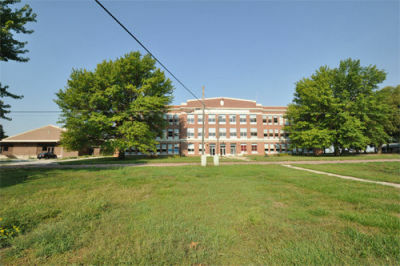 The Shelby Consolidated School is locally significant under Criterion A for the area of EDUCATION and Criterion C for the area of ARCHITECTURE. The school is a good example of consolidated school design and the work of John Latenser & Sons, an architectural firm based in Omaha, Nebraska. Shelby Consolidated School typifies the consolidated school building built in Iowa in the boom years immediately after World War I. As such, Shelby Consolidated School incorporates many of the features advocated by state officials, as well as prominent school architects and education professionals that made the consolidated rural school unique in school architectural design. The school also represents the only known extant building in western Iowa by the Omaha architectural firm, John Latenser & Sons, and in particular by John Latenser, Sr., a prominent late nineteenth - and early twentieth - century school architect. Either designed by the elder Latenser or heavily influenced by his expertise, the Shelby Consolidated School - a three-story, U-shaped Classical Revival-inspired building -typifies the many well planned school buildings that made Latenser a highly respected name in school architecture in the early twentieth century. Additionally, the school is the best, and largest, example of Classical Revival in the town of Shelby, IA. The period of significance starts in 1922 when the school opened and runs up to 1963 because of the 50 year cutoff rule. An archeological investigation was not part of this nomination; additional research may identify archeological sites that could contribute to the overall historical significance of the property. The potential for locating any undisturbed archaeological evidence is most possible in the area of the athletic field.